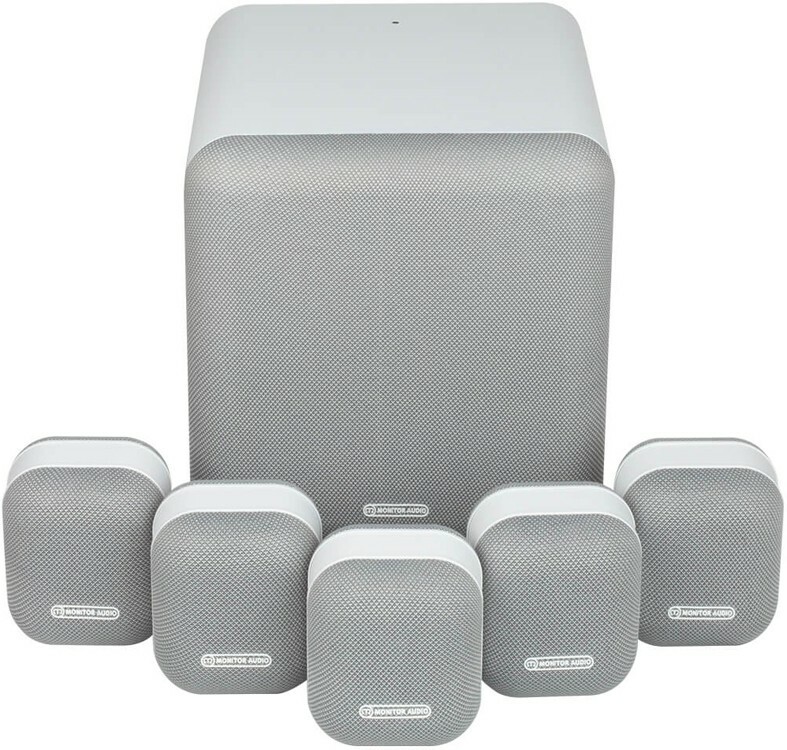 Monitor Audio Mass 5.1 MkII Speaker Package, packs four decades of loudspeaker expertise, and is designed to provide full-scale audio fidelity from compact, stylish speaker cabinets that will augment any interior. Mass combines all Monitor Audio’s award-winning expertise with sophisticated looks for a new level of performance from music, gaming and movie sound alike. 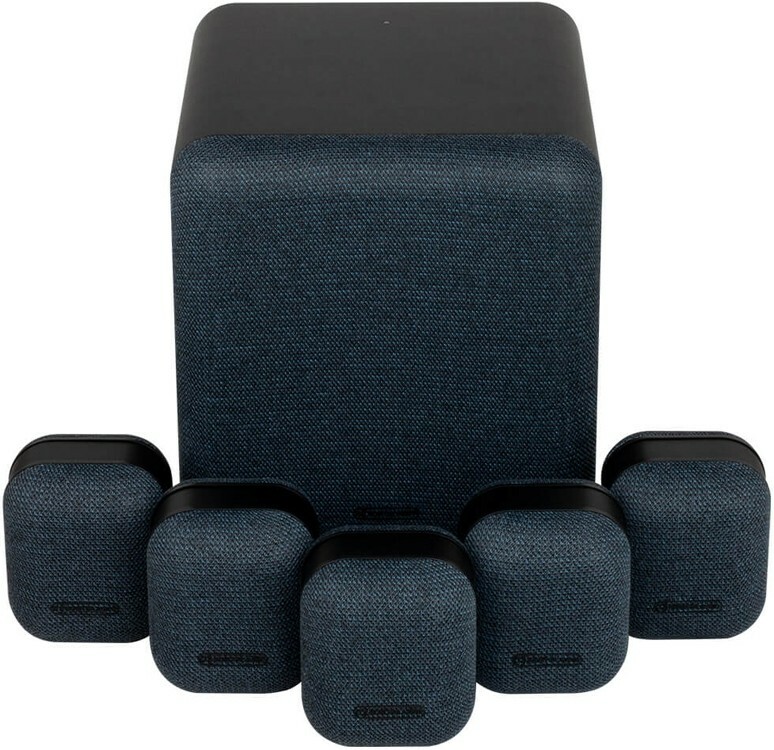 Fast and simple to set up, Mass delivers genuinely enthralling surround sound in a compact design, making any room feel like a state-of-the-art concert hall or cinema. Featuring a two-way, braced and fibre-reinforced sealed cabinet, this speaker is tuned for wide dispersion and optimal integration with MASS Subwoofer. The compact design, with point-source acoustic alignment for precise audio focus and response incorporates a unique custom-weave cloth finish. The 3.5" Mid-Bass driver features MMP II (Metal Matrix Polymer) cone technology and advanced FEA simulation used to enhance the cone & motor unit performance. This is coupled with the 19mm soft dome tweeter with thermal protection. It has an integrated stand-mount point, wall bracket (MASM bracket compatible) and rear cover concealing binding posts. Made to augment the deepest bass of Hollywood soundtracks, cutting-edge games and music alike, the Mass Subwoofer provides reinforced bass from its 203mm long-throw driver powered by 120 watts of class D amplification. The compact, sealed enclosure with braced 15mm MDF construction and rigid 18mm MDF baffle enables discreet positioning in any room. DSP provides accurate filter characteristics and advanced limiters guarantee controlled, genuine sound. Enjoy your own full home cinema surround sound experience without breaking the bank or compromising your decor. MASS is capable of dynamic, room-filling sound with all the punch and drive demanded from Hollywood's biggest Blockbusters. With perfect clarity to build the tension, thrilling attack when during explosive scenes and incredible effects placement around you, MASS packs the genuine cinema experience. Mass puts you in the centre of the action. Gaming is massively enhanced by precise placement of effects, effortless 360-degree panning around the soundfield and stunning low-frequency presence. Enjoy every scenario like never before to level up your gaming experience. Listen in stereo or multi-channel mix, MASS brings your favourite music to life through engineered integration between the Satellites and the Subwoofer. From the deepest bass to the crispest treble, you get incredible stereo imaging while the combination of MMP II driver technology and soft dome tweeter in each Satellite affords faithful and convincing tonality. Fast, controlled and deep bass from the Subwoofer makes MASS as dynamic and punchy as it is subtle and detailed.